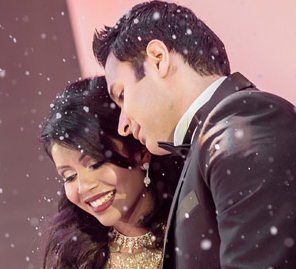 Aditi and Rachit’s wedding at the Courtyard by Marriott Agra was a fairytale come true. The beautiful layout of the hotel, the stunning outdoor lawn and elegant ballroom played host to this wonderful union. Here, the couple tells us about their wedding. “We wanted our Mehndi to be an amalgamation of the modern and traditional. 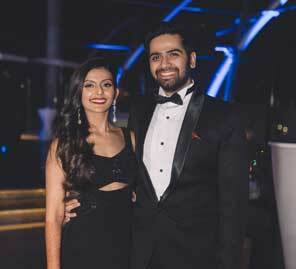 It was hosted at the poolside of the hotel, the perfect venue for this colorful function. Our decor comprised neon marigold flowers and a quirky rickshaw that brought a fun vibe to the event. I wanted my attire to be easy and flowing, so I picked a beige skirt with a bottle green jacket. Rachit kept it simple with a green kurta and beige churidar with a floral bandhgala jacket,” says Aditi. 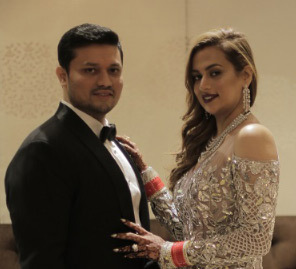 Aditi says she was very particular about her trousseau and make-up, “I was definite about the look I wanted for my special day. The red Sabyasachi lehenga with beautiful golden motifs across the skirt and blouse was a winner for me. It had pale pink dual dupattas, one draped over my head, and the other across me like a sash. My makeup artist, Manleen Puri understood my minimalist tastes and crafted a flawless makeup look which exuded elegance and charm. Rachit wore a stylish gold sherwani with a red dupatta and embroidered collars. A beige and red 'safa' (turban) was enough to give him a regal look. His entire outfit was from Shantanu and Nikhil. “For photography, we chose Design Aqua. The team was really good to work with and knew what we wanted. 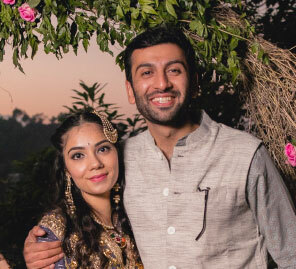 They were very understanding during both, the pre wedding shoot in Mussoorie and the wedding in Agra. It was more of a friendly affair with a professional touch, which helped us to get our dream moments captured. We would highly recommend Design Aqua to capture your “special day”!